Technology that only a few years ago would have seemed like a dream is now coming to a car near you. 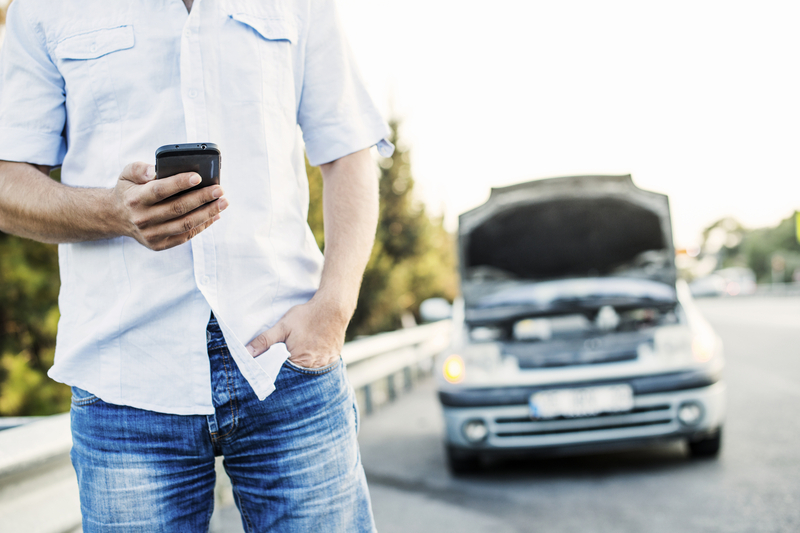 The latest can predict if your car is going to break down. It’s estimated it could save British drivers 38,000 hours waiting for roadside rescue with their conked-out car. Green Flag Alert Me plugs into the car’s On-Board Diagnostics (OBD) port. From there, the matchbox-sized device monitors the car’s battery and electronic brain. This enables it to record changes such as the battery failing to hold its charge before the driver would ordinarily notice them. If it does see changes, Alert Me reports it to Green Flag over the mobile phone network. Green Flag then notifies the driver via a smartphone app. Currently, Alert Me focuses exclusively on battery health – the UK’s number one breakdown cause. But the areas it reports on is set to grow so that it can record up to 16 fault codes from the car’s computer. This will enable the driver to give their garage a relatively accurate diagnosis of an impending fault even though it may not be obvious in everyday driving. Telematics is a method of electronically monitoring a vehicle. By using a combination of GPS and interrogating the car’s computers it can record and map exactly where a car is, how it’s being driven and how it’s behaving. Formula One racing teams have been using telematics for years to enable engineers in the pits to monitor how cars are performing out on the track. The On-Board Diagnostics port is a direct route into the car’s electronic brain, the Engine Control Unit (ECU). It looks like a small plug socket and is frequently accessed from inside the car beneath the steering wheel. It’s usually hidden by some plastic trim so it doesn’t get damaged through every day wear and tear. This is where garages plug their computers in so the car can tell them what might be going wrong through a series of codes. The most talked-about use of telematics is by insurance companies. By giving customers black boxes to plug into the OBD, the insurer can monitor driving style and standards and tailor premiums to individual drivers. Fleets use telematics to monitor vehicles. It’s this that enables us to track couriers delivering packages to us. And it can also be used by police to find stolen vehicles. Car manufacturers are increasingly employing telematics in the same way that Green Flag is: to keep an eye on how cars are behaving. In the future, this could enable the car to tell the garage what new parts it needs before it goes in for a service. Telematics is increasingly employed in cars because of drivers’ desire to be constantly connected to the outside world. This includes beaming live traffic and parking updates to the screens in cars. As things stand at present, drivers clearly are not pulling over in order to read their text messages even where there is an opportunity of doing so (on motorways that won’t work), so isn’t this likely to cause drivers to continue to check their phones while driving? In reality if you EV breaks down its going to be a low loader job MFG,s are not going to give the diagnostic codes out because they would loosing to much money !